Sunland map scan, 1970. From David Aldred, October 2003. 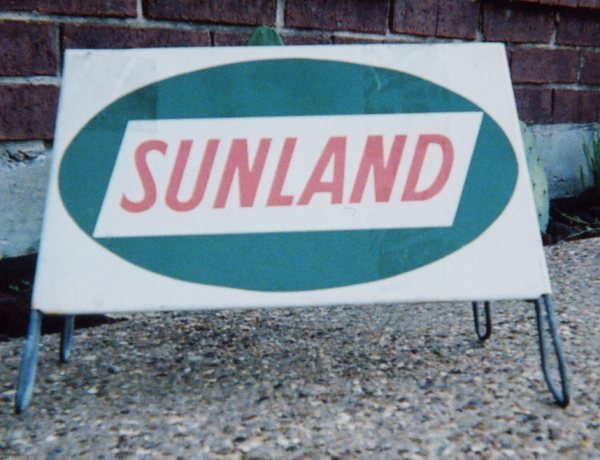 A Sunland curb sign from David Aldred's collection. 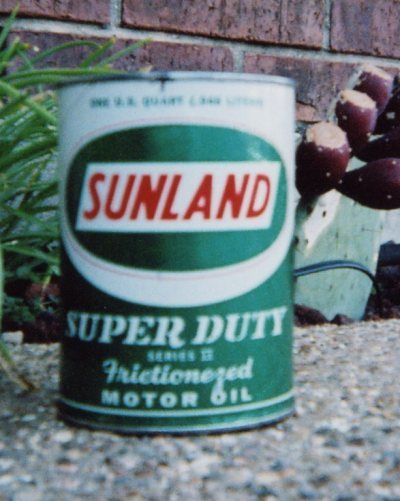 A Sunland oil can from David Aldred's collection. throughout California and (for a while) in Arizona. branded motor oil which was advertised on the back of their (fairly rare) maps. In the mid-70's, the company was purchased by World Oil. Over the following 15 years, the brand appears to have faded from use. the earliest map I've seen with this sign dates from 1962.
a logo reflecting their period pump sign.